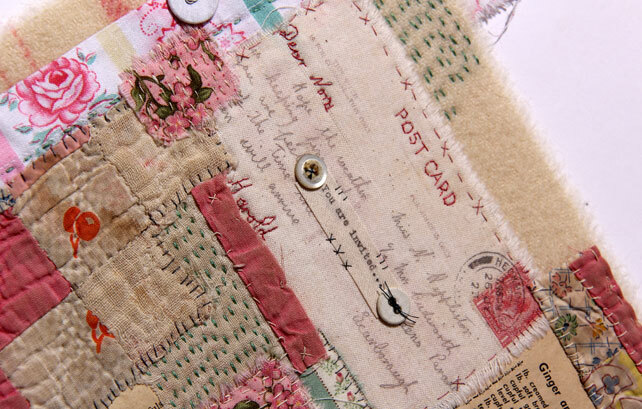 I take an original and contemporary approach to embroidery by layering, piecing and stitching fragments of old haberdashery onto cut and painted “patches” of wood. Each patch is then handstitched together to create my unique take on a traditional “patchwork sampler”. They celebrate the lives of women, or men, who for years have worked away unnoticed as they eke out the budget, strive to make things last a little longer or look a little prettier, keep their families clothed and warm. I use materials that are to be found hidden away in the bottom of drawers. Common place items that were used by our mothers and grandmothers as they went about their every-day domestic chores. 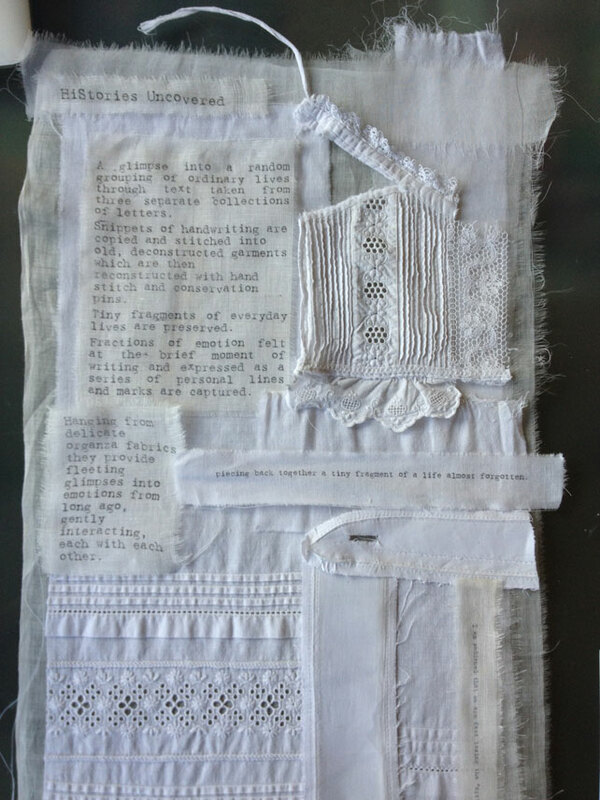 Vintage fabrics and lace, old embroidered table linens, paper from old knitting patterns and old items of haberdashery are combined with embroidery samples meticulously stitched into the wood. I think about the “lives” that these things led before they came into my hands. By using things that have been used, washed and worn I am bringing their story to the piece. Because in my mind wood was a material used to build the shell of the house and many of the functional items within it. The thread and the stitches weave their way between the layers of wood and materials bringing together the different functions and roles of a household. Can a button from an old shirt hold the story of the wearer? Does a piece of hand-stitched table linen carry the secrets of a household? Hidden in drawers these stories go untold. Stories of ordinary people going about everyday chores. In celebration of ordinary lives.